Dr. Kim Kane is the veterinarian and owner of Gift of Goodbye. 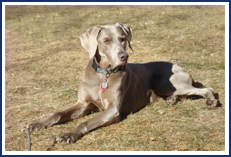 Dr. Kane lived in the Las Cruces area for many years before leaving to obtain her veterinary education at Colorado State University College of Veterinary Medicine and Biomedical Sciences. She raised her children, Shannon and Chase, in Las Cruces while working as a labor and delivery nurse at Memorial Medical Center, as well as a researcher and instructor in the Animal and Range Sciences Department at New Mexico State University. After receiving her veterinary education in Colorado, Dr. Kane returned to the Las Cruces area to open Gift of Goodbye, a veterinary practice focused on providing in-home hospice care and euthanasia for dogs and cats in southern New Mexico. Through the loss of her own beloved dog, Luke, Dr. Kane gained a greater understanding of the struggles and emotions inherent in the end-of-life decisions a pet owner must often make and the grieving process that follows. 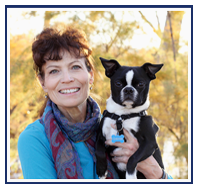 As a result of this experience, she decided to offer in-home pet hospice and euthanasia services to clients in southern New Mexico who would like to spend the final moments with their pets in the familiar surroundings of their own homes. Dr. Kane is committed to helping clients and their pets achieve as much comfort and peace as possible during this difficult time. She is available to clients for appointments and emergencies from 8 am through 7 pm, 7 days a week. Please call 575-312-0679 for a telephone consultation and/or to schedule an appointment.